On July 10th, 2018, the Equal Employment Opportunity Commission (EEOC) announced that it has filed a disability discrimination lawsuit against a Florida-based franchise location of Pacific Sunwear (PacSun). This company offers California-branded clothing and apparel products targeted at teens and young adults. 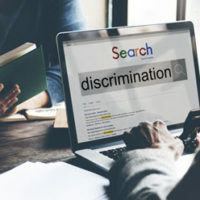 According to the legal complaint filed by the EEOC, PacSun unlawfully refused to consider a wheelchair bound applicant for a position at the company. Specifically, the EEOC alleges that PacSun told an 18-year-old job applicant in a wheelchair that the company was not hiring when he inquired about a position. However, the EEOC contends that the very same retail location told non-disabled applicants that jobs were in fact available. If the allegations are proven to be true, PacSun’s conduct violates the Americans with Disabilities Act (ADA). Would be reasonably perceived to have a substantial physical or mental impairment. It is crucial that Florida workers know their rights under the ADA, and that Florida companies know their legal responsibilities under the ADA. A West Palm Beach employment law attorney can help protect your rights. To be clear, the ADA does not require that disabled applicants get ‘special treatment’. Instead, it simply mandates that employers must treat them fairly. Disabled job-seekers are entitled to a review of their application that is based on their individual qualifications for the position. They cannot be denied a job based on generalization, stereotypes, or any other type of discriminatory grounds. Essential Functions: To be qualified for a position, an applicant must be physically and mentally capable of performing the essential functions of the position. If a disability prevents a person from performing core functions of the position, then they are not qualified for the role. Reasonable Accommodation: Florida employers that are covered by the ADA have a duty to make reasonable accommodations to help workers perform a job position. For example, at a clothing store, a wheelchair bound employee may not be able to reach high shelves. An employer could reasonably accommodate that worker by assigning that specific task to other employees, while giving the wheelchair bound worker a similar job duty that they can actually complete. Undue Burden: Employers are not required to make accommodations that amount to an undue burden. What constitutes an undue burden will depend on many different factors. Though, employers should always try to actively look for a reasonable alternative solution that will help a disabled worker perform the role. At Pike & Lustig, LLP, our South Florida employment law attorneys have extensive experience handling disability discrimination claims. No matter the specific circumstances of your case, we are ready to take action to protect your rights. For a fully confidential initial employment law consultation, please contact us today at our West Palm Beach law office or our Miami law office.